There is no doubt that the number one reason for getting an International SIM Card is to save on roaming charges. The savings will be different for each country you visit, but you typically save between 50%-80% compared to the roaming fees you will pay you mobile phone provider. This is because international SIM card providers are able to work with the various mobile network providers worldwide and have negotiated the best rates for the country you're visiting. Having an international SIM card means that you can fly from one country to the next without having to buy a little local SIM card in every country. Even if you're planning on staying in the country for a longer period and buying a local SIM card in that country, having a prepaid international SIM card lets you have data access immediately upon arrival, allowing you to use your mobile ride-sharing apps or get directions to your hotel. By getting a prepaid International SIM card where your airtime does not expire and you're not bound to a monthly contract, you will always have cell phone and Internet connectivity when you move from one country to the next. 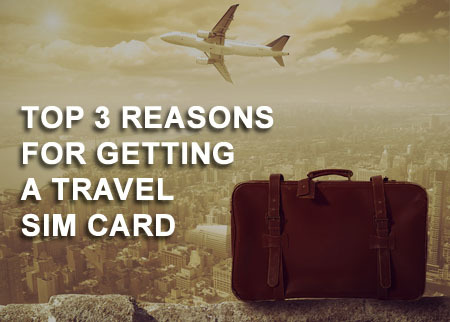 An international SIM card gives you one number that you can give to your family, friends and business associates before you travel, allowing them to contact you no matter which country you are in. You can also forward your home country mobile number to your International SIM Card number, making you reachable no matter where you are. Whether you have already booked your vacation/business trip or just planning one, make sure you bring an internatonal SIM card. Find your way around a foreign city using online maps, share travel pictures on social networks, call your friends, family or even business associates. Stay connected for less, anytime, anywhere* and hassle free. Get your free* Wraptel International SIM card and start experience the convenience an international SIM card can give you. Make sure your phone is unlocked before you travel! For iPhone users, check to see which iPhone models can use international SIM cards.